We are delighted to be one of the sponsors for the St Joseph's Primary football strip! We hope the teams have a great year! We have been playing about with organic building concepts recently and decided to merge one with aerial footage provided by our friends over at Turkey Red Media. It's a fun little project that allows us to explore ideas that wouldn't stand a chance of being built but definitely push the envelope. The potential to view and understand the massing, materials and visual impact of a building is given a generous boost over static photo-montages when merged with aerial footage. We appreciate it's not a new technique but it's definitely under-utilised when assessing the viability of a building and the potential to sell off plan. Architecture in Scotland would benefit from utilising this technique to expand on clear communication of designs and also to explore ideas that otherwise wouldn't see the light of day. 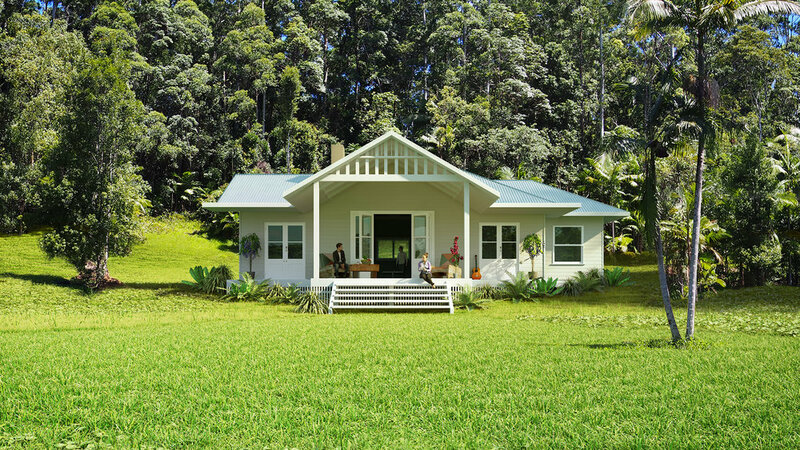 We have been commissioned to create 3 CG images for proposed cottages at the World Heritage Nightcap National Park which is 30 minutes inland from Australia's Gold Coast. The first image of the exterior was used in an article by Heartland Magazine to communicate how the cottages will nestle into the site. It's a beautiful and tranquil location so the images need to reflect these special qualities. The second two images are currently in production and will show the Living Room and the Bathroom. It includes Architectural Visualisation, VFX (Visual Effects), Matte Painting, Animation and TV commercials that we have worked on ourselves or as part of a team. The industries we have created visualisation graphics for include construction, marketing, oil and gas, renewables, sport, entertainment, TV, film to name a few.